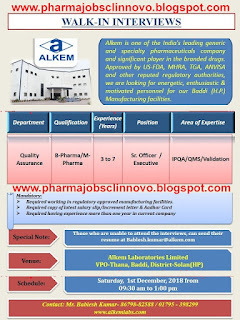 Alkem Laboratories Ltd Walk In Interview for Quality Assurance on 1st December - Clinnovo! 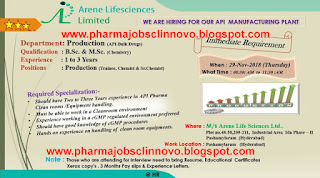 GVK Biosciences Pvt. 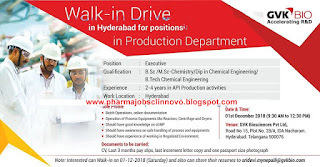 Ltd Walk-In Drive for Production Dept. 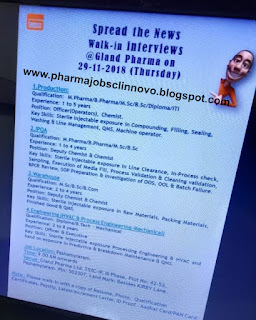 on 1st Dec 2018 - Clinnovo! 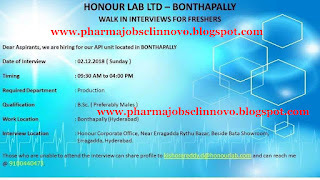 Honour Labs Ltd for API unit for B.Sc candidates on 2rd Dec 2018 @ Hyderabad - Clinnovo! 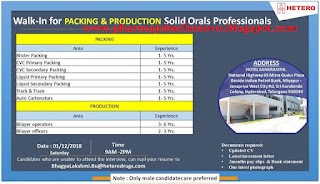 HETERO Walk In For Production, Packing, FR&D on 1st December 2018 @ Hyderabad - Clinnovo Research Labs. 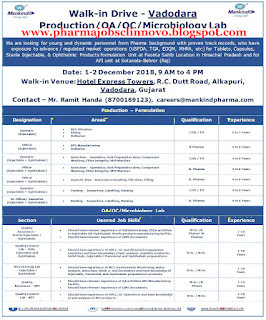 MANKIND PHARMA Walk-In Drive For Multiple Positions Quality Assurance, Quality Control, Microbiology on 1st & 2nd December 2018 - Clinnovo! 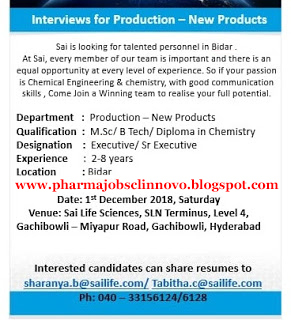 Sai Life Sciences Walk In Interview for Production on 1st December 2018 @ Hyderabad - Clinnovo Research Labs. 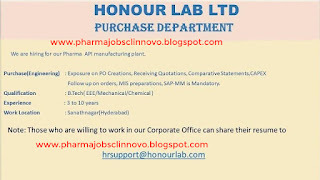 Honour Lab Ltd Urgent Openings in Purchase Department @ Hyderabad - Clinnovo Research Labs. 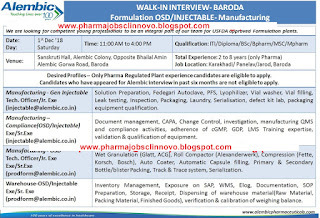 Pharmaffiliates Analytics & Synthetics (P) Ltd Urgent Vacancy for Research Associate & Jr. 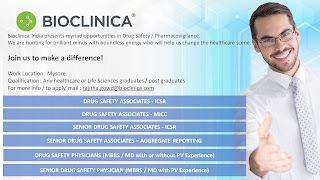 Scientist - Synthesis & ARD (QC) - Clinnovo! 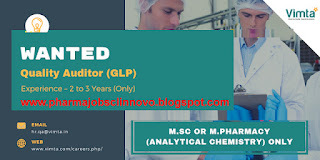 Novartis Healthcare Hiring Statistical & Sr.Statistical programmers for Experienced candidates - Clinnovo! 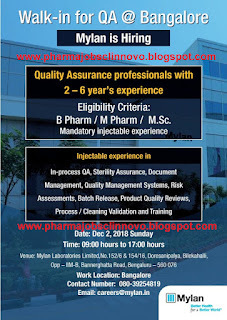 Hiring Statistical & Sr.Statistical programmers for Novartis Healthcare. 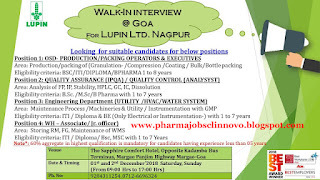 Hiring drive on 01 Dec 2018 in our own premises in Hyderabad. 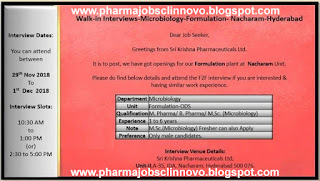 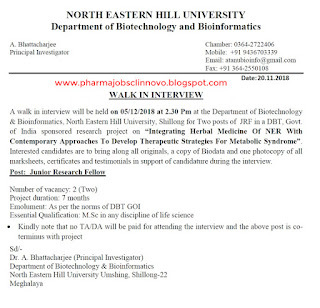 BIOCLINICA Walk-In Interview For M.Pharm, Pharm.D,BDS, M.Sc/B.Sc (Nursing) Freshers on 28th November 2018 - Clinnovo! 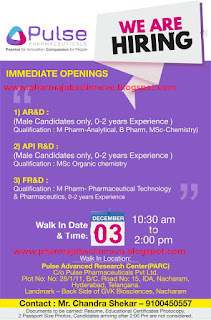 Zydus Biologics Walk in Interview for Fresher’s B.Pharm, D.Pharm on 29th November - Clinnovo! 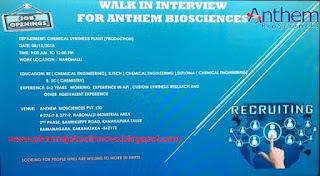 Walk-In Drive on 29th Nov 2018 for Trainee / Chemist / Sr. Chemist - Production @ Arene Lifesciences Ltd - Clinnovo Research Labs. 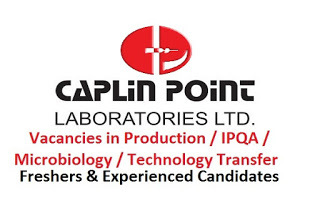 Caplin Point Laboratories Ltd Vacancy for Fresher’s & Experienced in Production, IPQA, Microbiology, Technology Transfer Dept - Clinnovo!